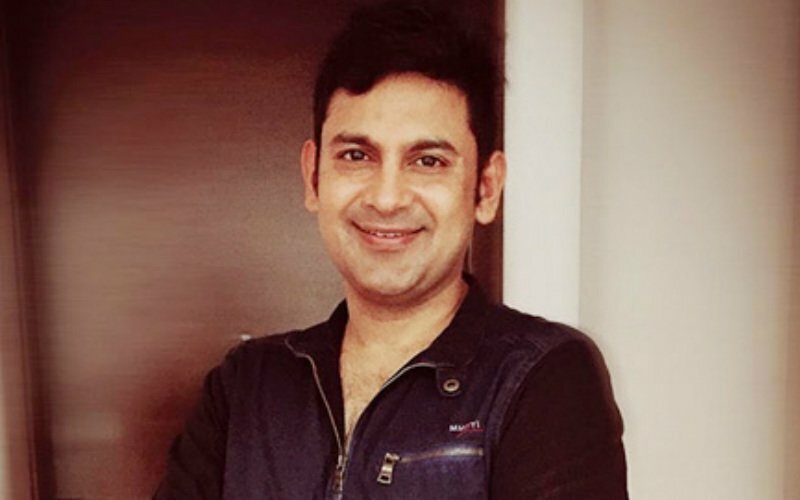 For Ankit Tiwari and me it was a happy challenge as in, we were happy but at the same time we knew that we had to live up to the musical brilliance of Tum Bin. So somewhere at the back of our minds, we were under pressure to deliver the best. So we decided that we won’t even try to make better music than Tum Bin, but will give it our best shot. This reduced the pressure on us. The only way to work here was not thinking about Tum Bin and just doing our work. 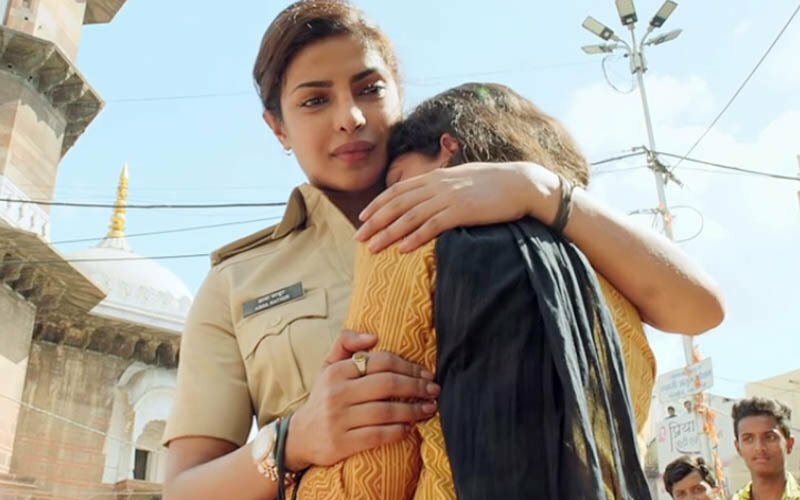 My favourite song in the album is Dekh Lena, which is crooned by Arijit Singh and Tulsi Kumar. 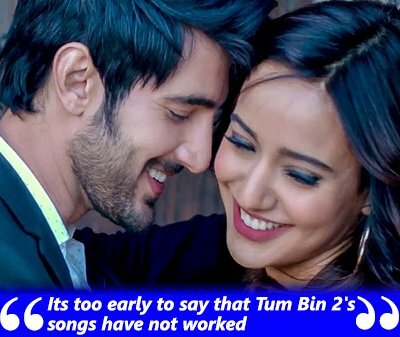 As of now Tum Bin 2 hasn’t caught the attention of the audiences, the songs too have received a lukewarm response. Do you think that you have lived up to the expectations? Its too early to say that Tum Bin 2's songs have not worked. Only after 20 days of releasing a song can you asses its success. Even with the film MS Dhoni: The Untold Story, barely a song featured in the Top 20. But the songs only caught attention once the film released. Same is the case with Tum Bin 2 as the music album will grow on you with time. Even with the first installment of the film, the title song of Tum Bin and Koi Fariyaad became popular after the movie released and went on to become cult hits. I will only be able to answer this question of yours a week after 18th November, 2016. A lot of old hits are re-recorded these days in new films. Does that help the film? I think I have made the maximum amount of remakes and I believe they have a soul of their own. If you can add a few contemporary colours and bring in a new flavour to the song, then there is nothing wrong with it. I don’t look down upon remakes as it's more of a tribute to the classics. Also it creates recall value for the audiences. Kala Chashma became a super hit only because the original song was very popular. At the same time, remakes should not be the flag bearer of the album. If every song is a remake then somewhere down the line we are accepting that we cannot create new melodies. One should try and enhance the song and not degrade it. The best singer in the industry today is Arijit Singh, but even his songs are failing to chart. Are we yet to discover the voice which will revitalise the music industry? I wouldn’t say that we are facing a dearth of voices but instead I would blame the number of songs that are coming up. Back then Sonu Nigam would sing 10 songs in a year and now Arijit has 10 tracks a month. 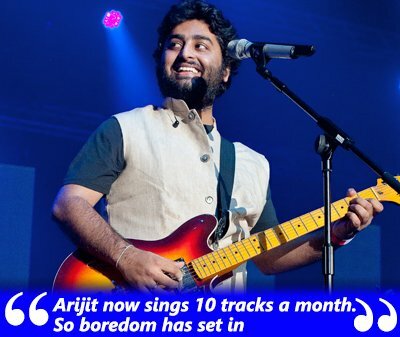 So boredom has set in but that doesn’t mean Arijit is a bad singer and is not surprising people with freshness. I feel the producers and directors will have to be a little brave and experiment with newer voices. I wouldn’t blame him or me for that but I feel every song has its own journey so if a few songs don’t work you can’t do much about it. You think that the auto tuners have made the younger generation a little lazy? Ofcourse it has.. Back then to be a good singer, you had to have a very good voice but now the auto tuners can fix it. Do you think the situation is similar to the 80s when our composers were grappling in the dark, clueless about the kind of music that will work? The last song that really changed the face of music industry was Tum Hi Ho in Aashiqui 2 but right now we are in search of something that will once again create a revolution. 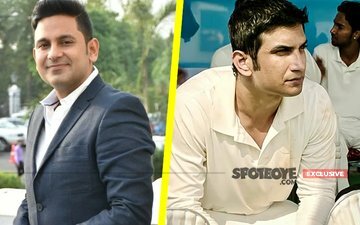 Asha Bhosle had criticised your song Besabriyaan from MS Dhoni: The Untold Story, saying that Besabriyaan is not even a word. What would you say to that? I don’t know about Ashaji's response but yes I know that a few journalists were talking about the word Besabriyaan. I would say 'Besabriyan' can’t be translated to 'Restlessness-es' which of-course is not a word. Similarly 'waters' is correct in English, but in Hindi we can't translate it to Paaniyon. The two languages have got a different vocabulary, tonality and grammar. 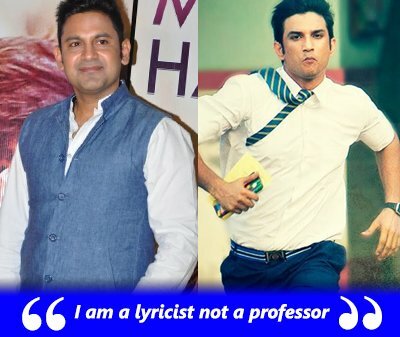 Also, I am a lyricist not a professor, and my job is to entertain and not teach. It would be futile to analyze every single word I write, rather than enjoying good music. Its a word in the dictionary and there is no reason to create a fuss about it.